CELEBRATION OF THE 22nd ANNIVERSARY! 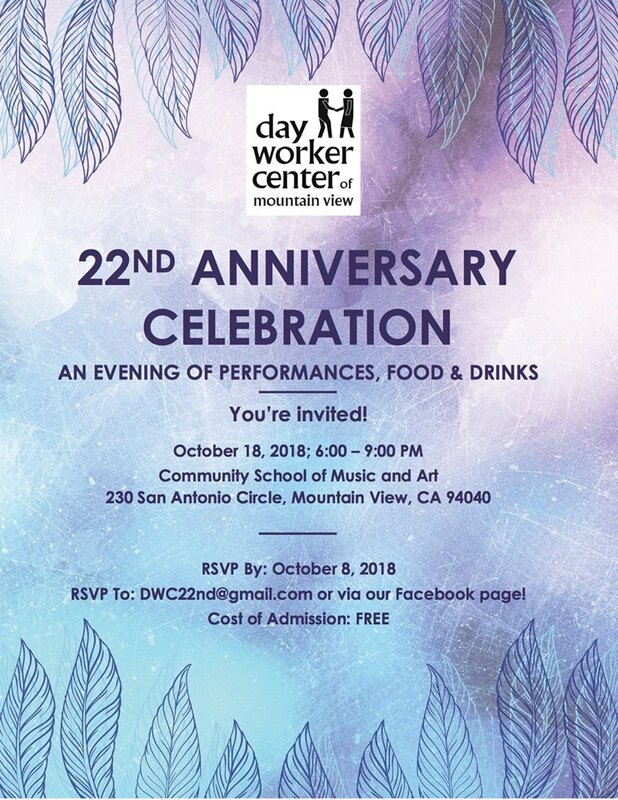 Please come and celebrate the 22nd anniversary of the Mountain View Day Center at the Community School of Music and Arts! Over the past 22 years, thousands of workers have entered through our doors to serve our local communities. In that time, we have lived in a safe, respectful and positive environment for both day laborers and their employers. Now we invite you to a night of shows, food and drinks where there will be the opportunity to celebrate with all the friends who help make the Mountain View Day Care Center such a wonderful organization.